With gold trading down for most of the year, talk has begun to circulate about whether a bottom is near for the yellow metal. After beginning the year trading near US$1,300 an ounce, it recently broke through the US$1,200 level and has traded as low as US$1,160.50. Gold has since retraced its steps from that low to US$1,200 again, but it remains near 52-week lows. 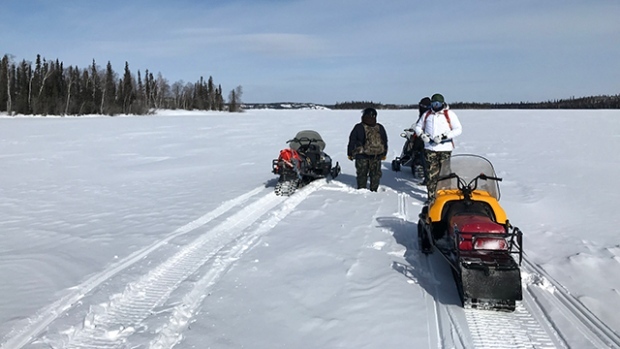 A good example of that dynamic is Rover Metals Corp. (TSX.V: ROVR), which recently snatched up the Cabin Lake properties in Northwest Territories. The acquisition gives the company the opportunity to expand on the historical data left on this project by previous operators. 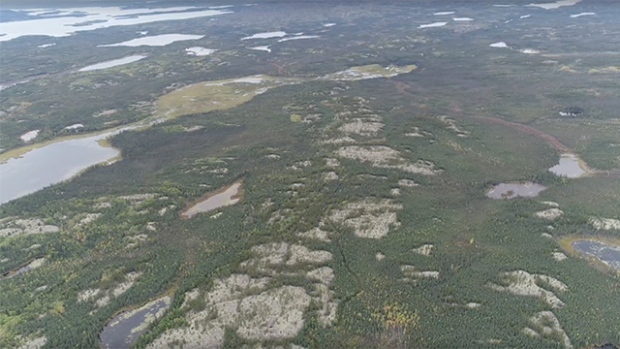 Located 110 kilometres northwest of the city of Yellowknife, the Cabin Lake properties consist of the Cabin Lake, Slemon Lake, and Camp Lake properties, of which the Cabin Lake property has received the most historical work. Currently, Rover’s exploration team is analyzing the extensive database from the project and plans to drill it at some point soon. Raul Sanabria, Rover’s Vice President of Exploration, believes that by using a larger diameter drill core than was used in the past, the company can obtain better results that previous operators missed. Said Sanabria, “I think we could see some expansion of the resource just by drilling with a bigger core size in areas of known mineralization that historically reported low gold values." The project as a whole has been drill tested over the years. It was first prospected in 1939, and in 1946, Andrew Yellowknife Mines tested seven zones with 2,267 metres of drilling. It went through several owners from there, who plied the area with various types of exploration techniques. One owner, Aber Resources, drilled 70 holes in Cabin Lake to an average depth of around 100 metres. The project also saw drilling in 1986, where hole 86-28 returned 15 g/t over 12 metres and several other high-grade long intersects followed. Sanabria believes Rover can uncover more potential resources on the known areas of mineralization through further drilling. The project hosts gold in a sulphidized banded iron formation setting, with the historical gold resource defined largely within the Bugow iron formation identified on the project. Sanabria sees an opportunity to expand the mineralization beyond these structures. “We want to drill to test the possibility that the gold is contained in intersections of shear zones and iron formations at Cabin Lake. Just by focusing on those areas or shear corridors, we think we can rapidly expand the project’s resources by repetitive targets never tested,” states Sanabria. The most well-known example of the type of mineralization at Cabin Lake is Goldcorp’s Musselwhite Mine in Ontario. That mine produced 236,000 ounces of gold in 2017 and has gold reserves of 1.85 million ounces. With less than 10,000 metres total drilled on the property — and none outside of the iron formation that hosts the gold at Cabin Lake — a thoughtfully designed drill program could quickly add ounces to the existing resource and help bring it up to NI 43-101 compliance. Sanabria and his team will spend the remainder of September 2018 running a round of geophysical and geochemical surveys to better confirm existing targets and to identify additional ones for future drilling. Proving the existence of additional gold-in-soil anomalies outside of the iron formation, or in parallel shear zone/iron formation intersects, will untap additional exploration potential for high-grade gold mineralization. This stage will be followed up by winter drilling, which makes sense in this part of the world, as its cost effective to drill when the lakes are frozen. Even a whiff of some of those historic grades at Cabin Lake could have a powerful impact on market interest in Rover Metals’ (TSXV: ROVR) story here, making the upcoming drill program one to watch.